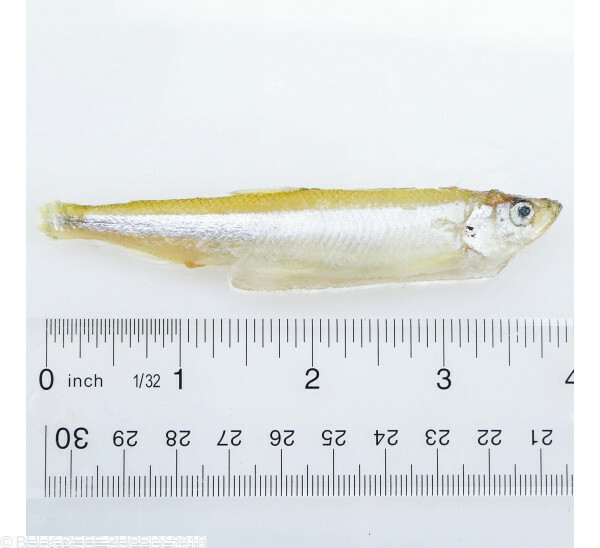 Silversides are a long, slender, brightly colored minnow, that are a perfect diet for larger fish that have a predatory instinct like Lion fish, Anglers, Eels and more. 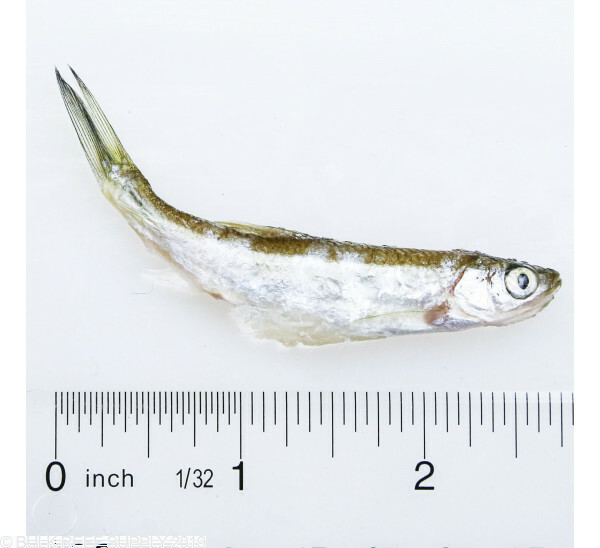 Silversides contain extremely high protein and fat content making them an ideal food for large marine fish. 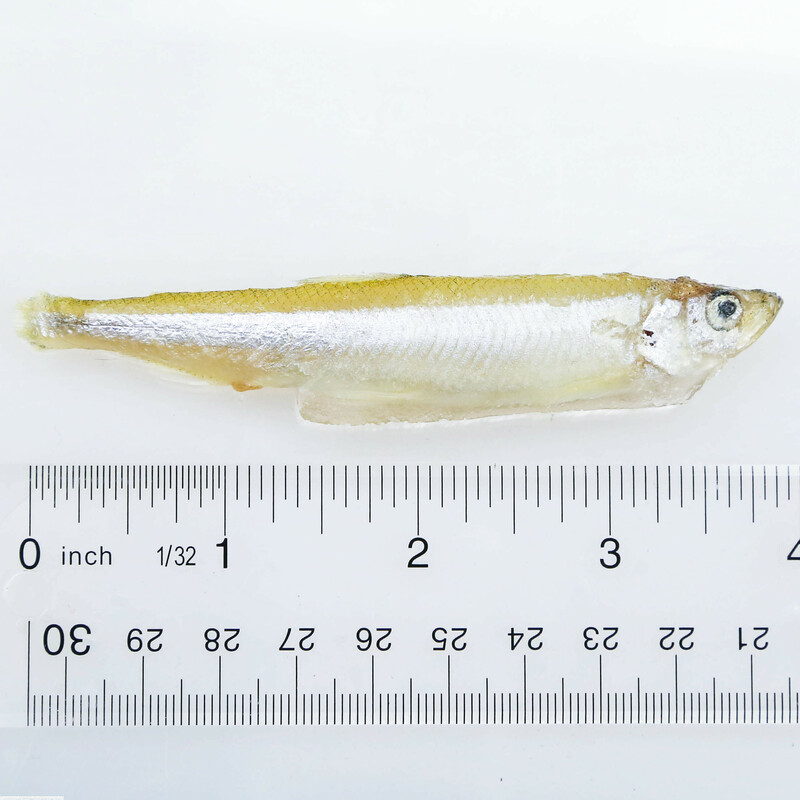 Silversides are a bait fish that can grow up to be 5.5" on average and will be a perfect treat for your predatory fish. 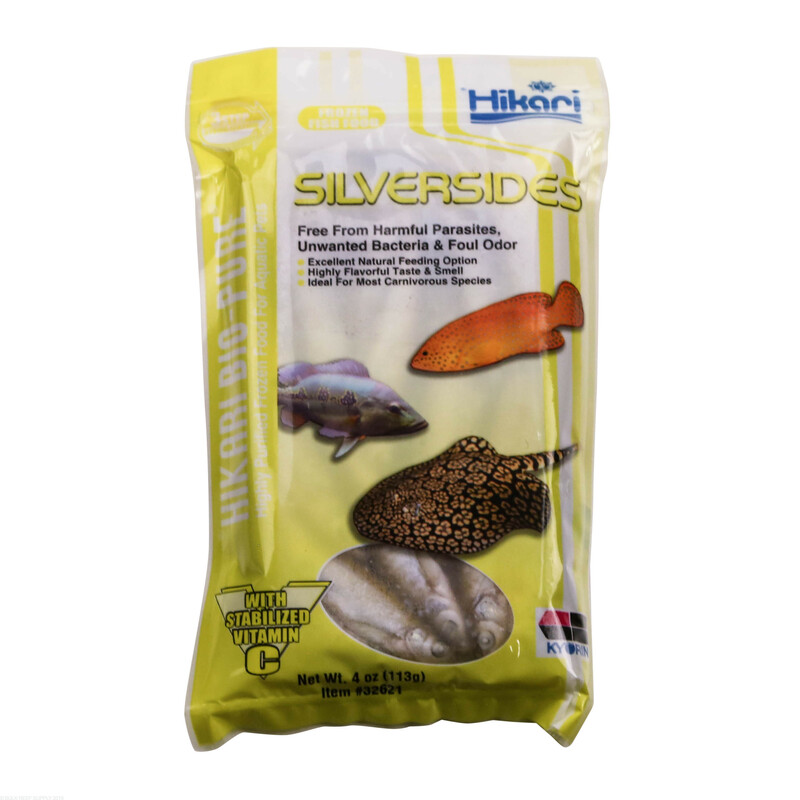 Hikari Silversides are packaged whole, and of a freshwater species which will aid in your saltwater fish's osmotic process leading to less energy used. Feed only as much as your fish will consume in 1 minute. 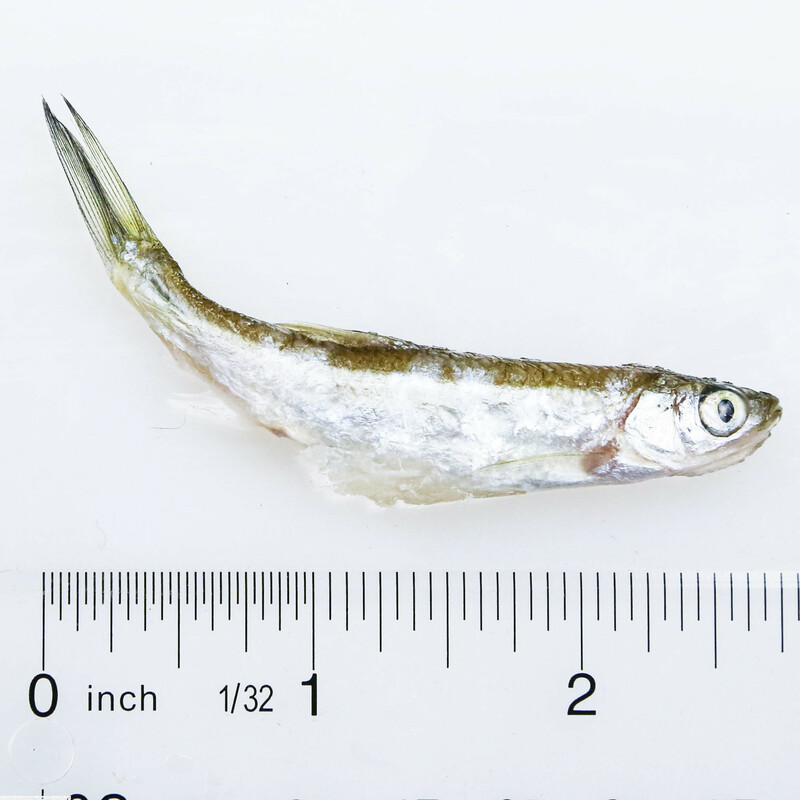 SIlversides can be fed whole or cut to an appropriate size for your fish to consume. Uneaten pieces should be removed from the aquarium. Overfeeding can lead to poor water quality issues. We do not recommend feeding anemones or coral silversides, due to their large size corals and anemones have a very hard time digesting the fish, and a small particle foods will works best. Most of the time if a silversize is offered to a coral or anemone it will be rejected within a few hours. 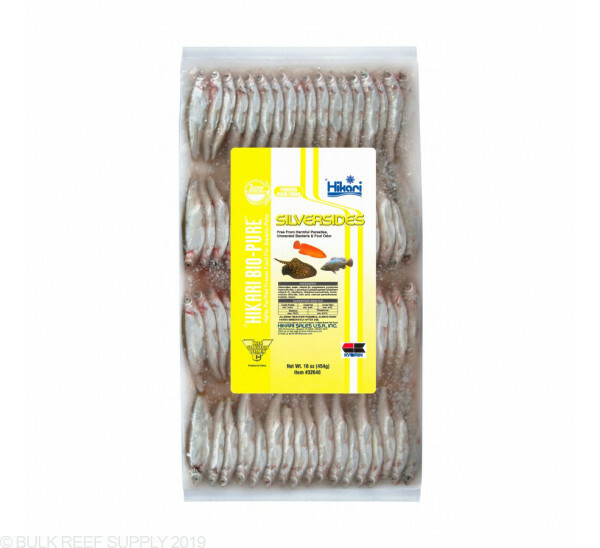 Silverside Ingredients: Silversides, water, vitamin B12 supplement, pyridoxine hydrochloride, L-ascorbyl-2-polyphosphate (stabilized vitamin C), carotene, riboflavin, thiamine mononitrate, biotin, choline chloride, folic acid, calcium pantothenate, inositol, niacin. 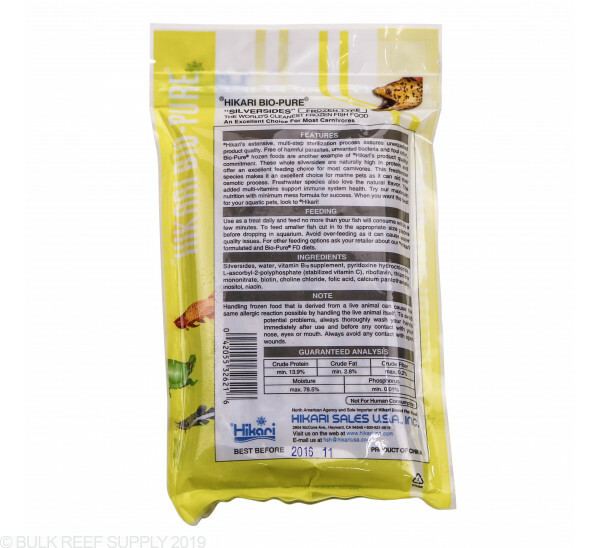 I have been feeding this to our Eels, Sharks and Rays a total of two years now and the quality can not be matched. I have been sold other brands by the business that cleans our tanks and the quality is not there. 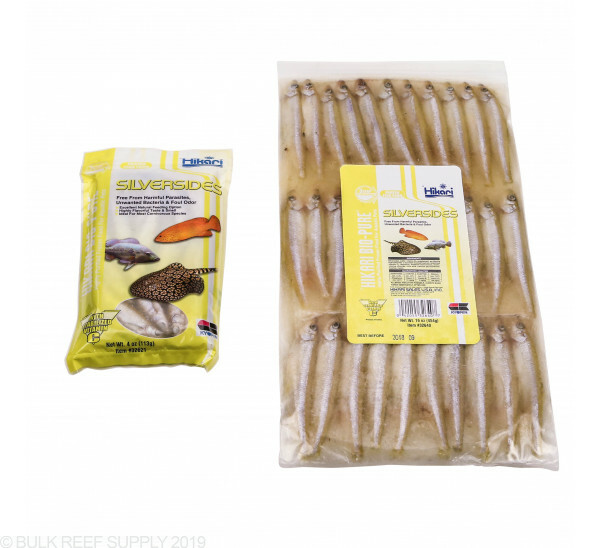 I went in search of a company that can consistently deliver my choice of food and Bulk Reef Supply has been able to meet our needs quickly delivered next day and at a great price. Thank you! 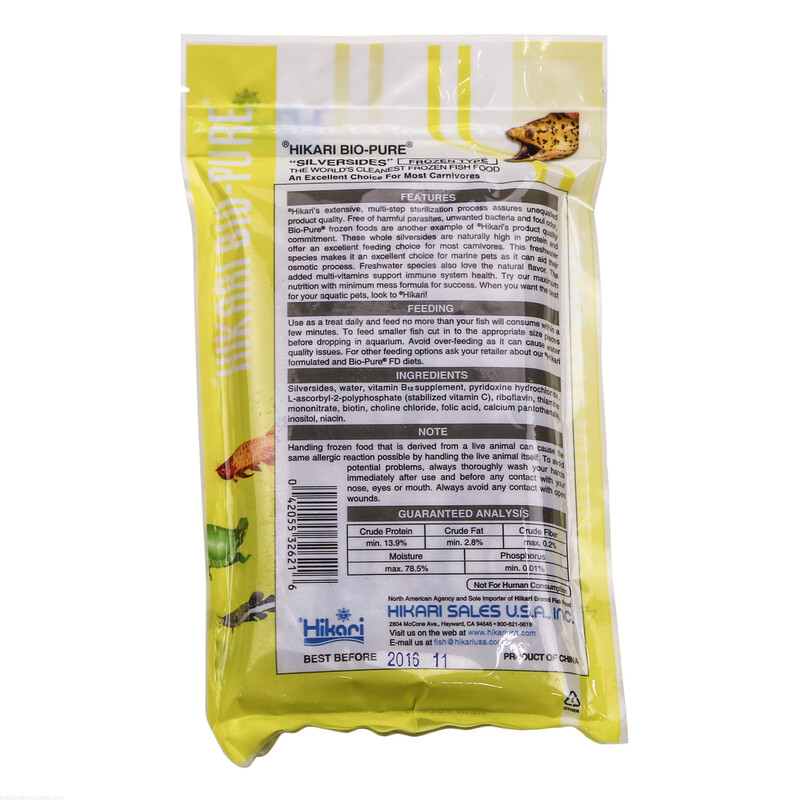 This is noted on the packaging but I still missed it. 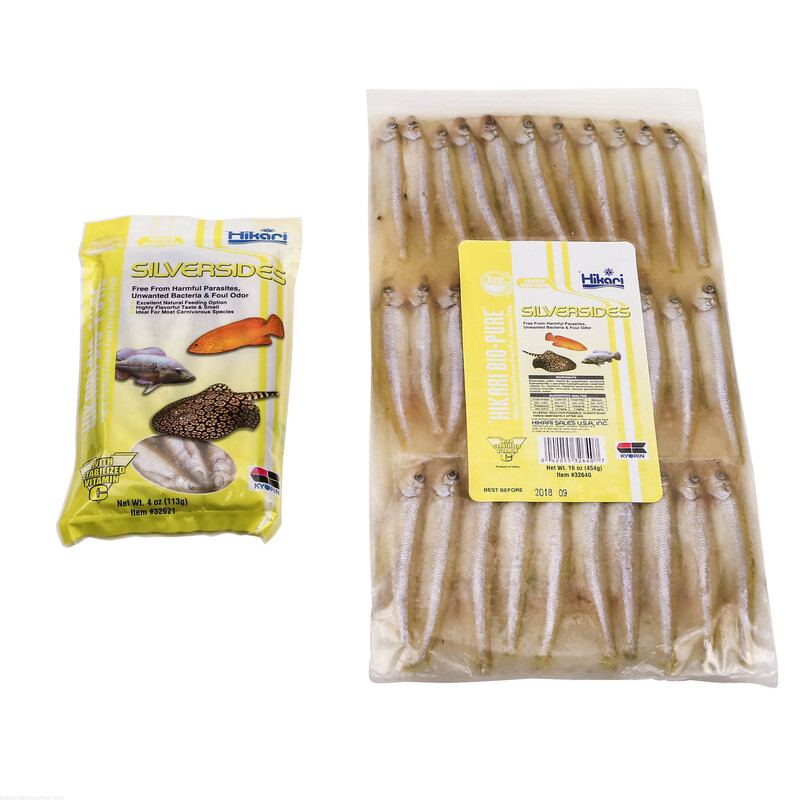 These are frozen freshwater minnows and really not good for your saltwater fish. 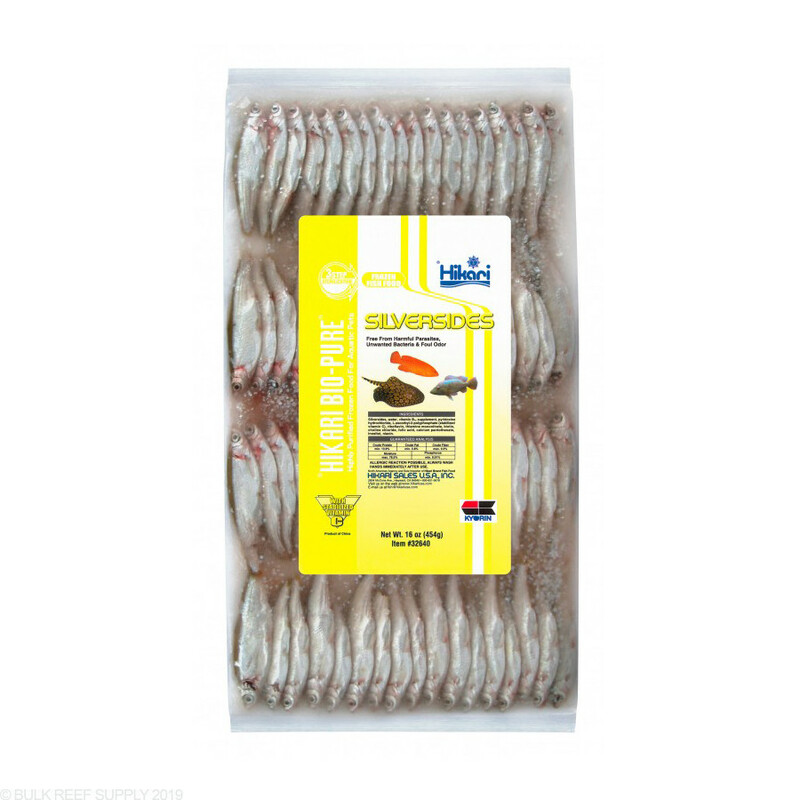 Ocean Nutrition sells actual marine silversides which ARE a healthy food source for your fish.